You could say that the Oklahoma City Thunder and Memphis Grizzlies are heading in opposite directions and it wouldn’t be anywhere close to being inaccurate. After Monday night’s win over the Nets that Thunder are 5-5 over their last 10 games while the Grizzlies are currently riding a 10 game losing streak. The last win for Memphis came on January 4th with a twenty point blowout of the Dallas Mavericks. When these two non-powers hook up in the Ford Center tonight both teams will feature coaches who didn’t start the season at the helm. Scott Brooks took over for Oklahoma City in November while Lionel Hollins was introduced at the new Memphis Head Coach on Sunday. The two teams are separated by only one win with the Grizzlies having 11 and the Thunder with 10. 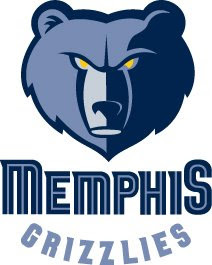 Grizzlies: Mike Conley, 6-1, O. J. Mayo, 6-4, Rudy Gay, 6-8, Darrell Arthur, 6-9, Marc Gasol, 7-1. Thunder: Russell Westbrook, 6-3, Desmond Mason, 6-5, Kevin Durant, 6-9, Jeff Green, 6-9, Nick Collison, 6-10. Oklahoma City has shown significant improvement under Scott Brooks and this is a game that the fans should expect to see their team win. With the recent success of the Thunder along with the dismal performances put out there by Memphis a home loss would simply be unacceptable. Memphis is getting outscored each night by an average of 7 points and out rebounded by two despite having a 7-footer under the basket. The Greatest Summer Camp, Ever! Which Christian School Crossed The Line?